Rastall Mine Supply, Rastall Tool Corp, and Rastall Nut & Bolt Co. A Leading Supplier for Mining, Forestry, Pulp & Paper, Auto, Steel and Construction for over 40 years. 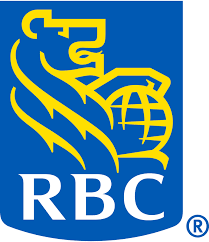 RBC Financial Group - Meet our Specialists! Pension Consultants, Personal Investments, Mortgage Advice, Banking Advisors and Financial Planning Specialists are all on hand to answer your Financial Wellness questions. RCT is an innovative Smart Technology company with over 40 years of success in the mining industry; providing automation, data management, protection solutions to clients globally. Leveraging knowledge to deliver clients increased profitability, productivity and safety. RDH Mining Equipment been providing quality underground mobile mining and tunneling equipment for over 25 years. 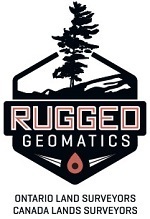 Our product line includes, but is not limited to: Jumbo Drill Rigs, LHD’s Underground Loaders, Scissor Lifts, Flatbed Boom Trucks, Fuel & Lube Trucks, Bolting Jumbos, Underground Trucks, Narrow Vein & Custom Equipment, Used Equipment, & Parts. ReadyQuip Sales and Service is a fully established distributor, employing factory-trained personnel since 1986. Our goal is to offer high quality products and services to the industries we accommodate while consistently delivering ultimate customer satisfaction. We are committed to providing timely, cost effective solutions and offer the finest innovative products in the market and focus on profitable growth through safety, superior customer service, quality and commitment. Our business environment promotes partnership, integrity and trust between our customers and the company. At ReadyQuip, we understand that downtime can be very costly and crucial for this competitive environment. That's why we carry an extensive parts inventory and offer a variety of essential services. Our highly qualified employees in the Parts, Sales, and Service departments are here to assist you with all your equipment requirements. Redpath offers a high level of service to the mining industry, which exceeds current standards and provides challenge for its employees. With a foundation built on global experience, adaptability and exceptional workmanship, Redpath leads the industry with cutting edge innovations in safety and mining practices. 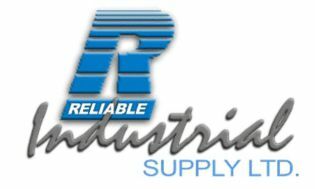 Reliable Industrial Supply distributes a full line of chemicals and specializes in custom blending and repackaging. Our customer base includes the industrial marketplace, mining, pulp and paper, and water treatment. Rock-Tech offers a comprehensive range of utility support vehicles, stationary rockbreaking systems and fuel/oil/grease storage and handling products. Engineered and designed to bring value to every part of your operation. Your mining business relies on premium lubricants to help reduce downtime and prevent unscheduled maintenance. Rely on Case ‘N Drum and RP Oil to help keep profitability piling high – with our extensive lubricants portfolio and vast reserves of industry expertise to help you cut costs, drive production and build a more reliable mining operation. Case ‘N Drum and RP Oil, dedicated to supplying oil and lubricants for over 35 years. Ontario and Canada Lands Surveyors servicing the mining, electrical transmission, municipal surveying sectors and First Nation Land Claim agreements in northern Ontario and Nunavut with offices in Timmins and Kenora.